Jazz Generation is a jazz education and performance initiative that creates playing opportunities for children and adults in separate, yet complementary, programs. •For jazz professionals, KEYED UP! Creates playing opportunities in neighborhood venues. •For younger jazz musicians, the Jazz Standard Youth Orchestra gives the invaluable experience of a weekly gig on one of New York's most famous stages. •Finally, for New York schoolchildren, the Jazz Discovery Program introduces the music to grade schoolers, often for the first time. We have separate programs for the different age groups. We generate the jazz of tomorrow by sponsoring the Jazz Standard Youth Orchestra (JSYO), an ensemble of teen and pre-teen players who perform weekly at the Jazz Standard. We generate jazz today by partnering, both financially and logistically, with venues wishing to present jazz but not possessing the full financial capability to do so. Jazz Generation recognizes that this intergenerational network is driving the future of jazz, and we are determined to foster it's continued growth. 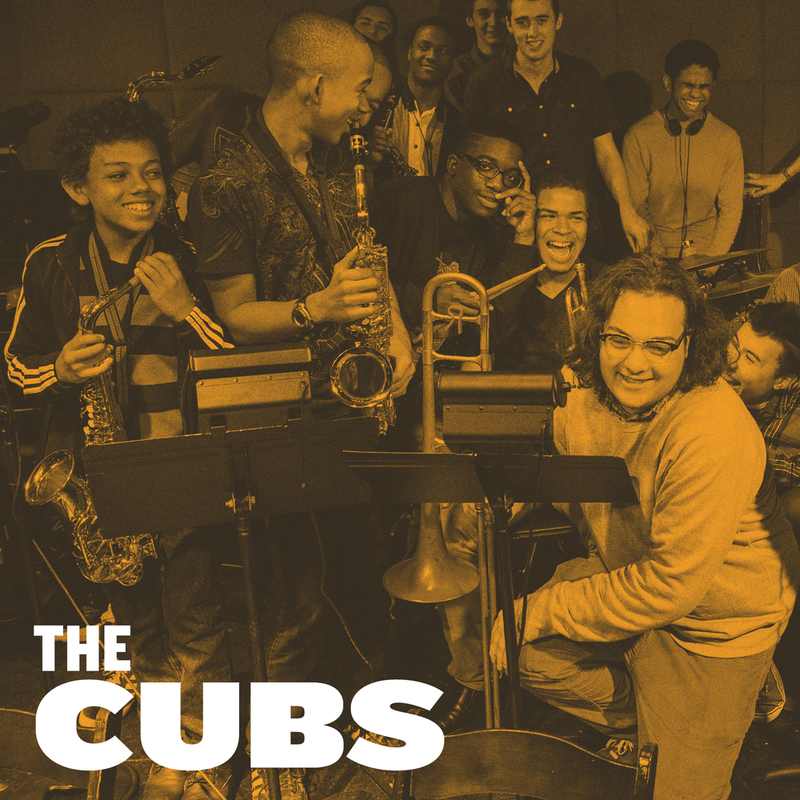 Of course, this can’t happen without the next generation of jazz musicians and listeners— The Cubs. Through our youth programs, we provide young musicians with the skills required to grow as collaborators and performers, and introduce younger audiences to the joys of live jazz. Our Jazz Standard Youth Orchestra program provides young talented jazz musicians with a stage and audience where they can hone their craft in performing at a very early stage of their development. It just happens that the stage they are performing on is one of the world’s top jazz clubs - Jazz Standard! They put together their own show as they choose repertoire, line up soloists and guests all under the watchful eye and supervison of many of today’s jazz prominent musicians. The Jazz Standard Discovery Program was founded with the intention of bringing school kids from all backgrounds to the club to experience live jazz. These workshops were designed to be fun, educational, and interactive. For some eighteen years now, the JSDP has been bringing school children of a wide age range to the Jazz Standard, and reaching out to cultural centers such as Visions, a midtown residence for the visually impaired. We believe that cultivating a vibrant and passionate audience is just as important as supporting talented and driven musicians. KU! has quickly become NYC's favorite entity for musicians, audiences, and venues alike! Operating simultaneously in over 25 partner venues spanning from Jersey City, NJ to Sag Harbor, Long Island, we are proud to keep hundreds of musicians working and over a thousand hungry jazz listeners happy each week at no extra cost to our partner venues. Don't take our word for it, take a look at some testimonials from Bar Owners and musicians below! Richard Julian (owner, Bar Lunatico, Brooklyn): "KEYED UP! has been indispensable for us. Not only have they facilitated proper pay for our musicians, but they have sent top-notch players our way as well. A very reliable resource, but even more importantly, an inspired and passionate entity." Cleve Douglas (vocalist): "KEYED UP! is a very fresh approach at providing much-needed life support to jazz. The efforts put forth through this organization allow me realize that in the current climate someone actually cares, and that someone is proactive in helping to keep this American art form alive here in NYC! Thank you, KEYED UP!" Jon Davis (pianist, composer): "KEYED UP! is an extremely important organization, having a profoundly positive effect on the jazz scene and so many of the musicians lives, that are participating!" Tim Armacost (tenor saxophonist): "Keyed Up!’s support for Yao’s 'Big Band and Beyond' series of concerts is evidence of their commitment to nurturing serious talent, and to helping get great music in front of live audiences. Keyed Up!’s motto is “We need more live jazz!” From the musician’s point of view - we need more organizations like Keyed Up!" Hans Glawischnig (bassist): KU! allows for senior community members to share their craft, wisdom and secrets with junior members while relieving the venue owners of some of the financial strain, not to mention the fact that unsuspecting customers might be exposed to a music they don't know much about. It's a win-win-win situation and I'll do my best to nurture and promote KU! in any way possible." You don't need to contribute funds to make a difference. Jazz Generation is always on the lookout for used pianos, new venues, and Jazz Ambassadors to spread the word. Click here to get involved. The following is a simple grid showing exactly how your contribution can help Jazz Generation support the music scene. The $ amounts represent the annual cost for supporting a weekly performance of different group sizes at a new music venue near you. Donec eget risus diam. Donec eget risus diam. Class aptent taciti sociosqu ad litora torquent per conubia nostra, per inceptos himenaeos. Donec eget risus diam. Sed a ligula quis sapien lacinia egestas.